Sure, we’ve been talking a lot about the StudioLive 32.4.2AI, and how elegantly it integrates with the StudioLive AI PA systems. 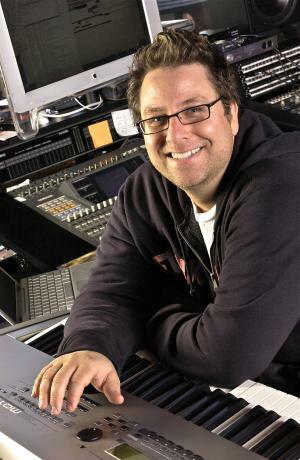 And of course you MUST know about PreSonuSphere, coming up in October. And the RC 500 solid-state preamp? Come on. That jazz is so last-week. 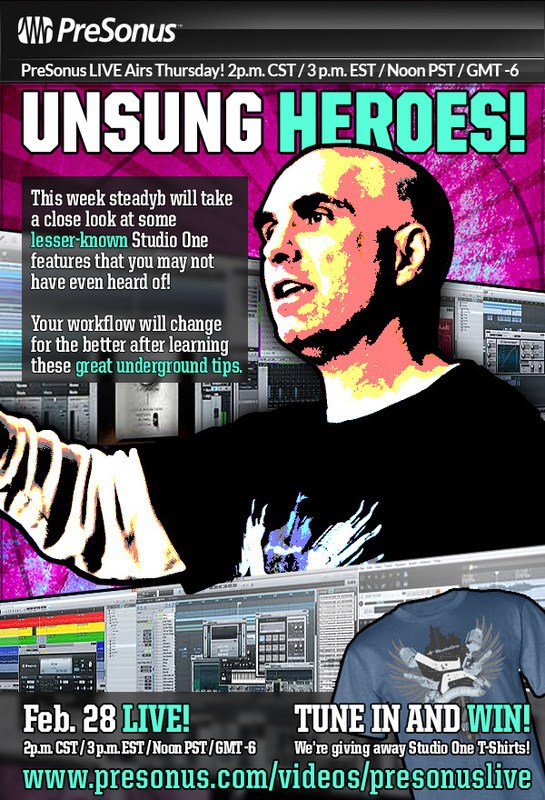 On Thursday, August 29 2013, at 3:00 p.m. CST, (4:00 p.m. EST | 1:00 p.m. PST | 20:00 GMT) head over to www.presonus.com/videos/presonuslive, where we’ll dagger the cloak, tip our hand, and reveal the other players in our triumvirate. But what is it? Exactly. We encourage you to speculate about precisely what the H-E-double-hockey-sticks we have going on over here using the hashtag #UnveilPreSonus. You are also welcome to direct questions to us on the matter, but are decidedly less welcome to expect useful answers. At least until the 29th. Joe Solo has a lot going on! Hey PreSonus! Wanted to let you know I’ll be speaking and answering questions at the ASCAP Expo in Hollywood, April 18 – April 20. 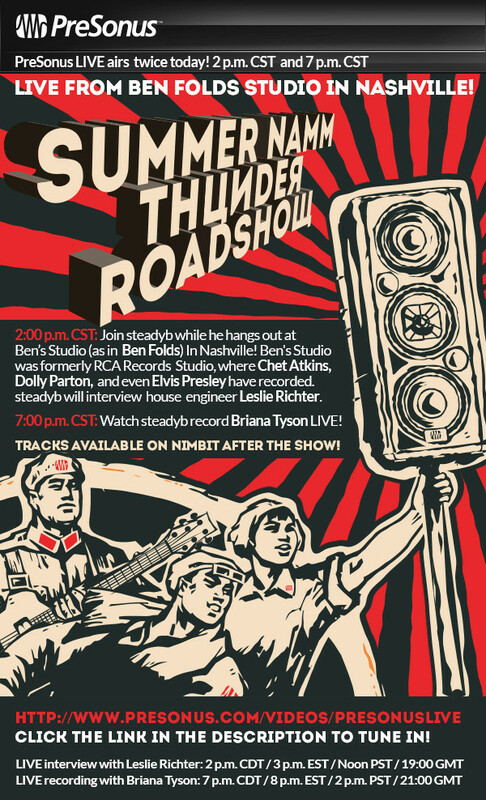 You don’t have to be an ASCAP member to attend. Other speakers there will be Katy Perry, Steven Tyler, Akon, RJD2, Jill Scott, Lionel Ritchie, and Josef Gordon-Levitt! Also, the next Music Success Workshops are being planned for Charlotte, NC in June, and Los Angeles in July. Exact dates and locations will be announced soon. 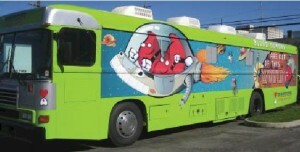 People can sign up here to get the details once they are in place. I also have some new Music Success Nuggets with great information on career advancement for FREE—people can sign up at JoeSolo.com. Don’t Miss Bleep Blop, Steaming Live! Do you like your music a little bit electronic? And a lot experimental? If so, this may be an event for you, and in case you can’t make it to MIT, you can check out the steam on April 13 at 8pm EST. The concert will feature works for electronically manipulated piano, analog synthesis, the Kronos Quartet Drum Machine, dynamically looped mbira, live video and more. 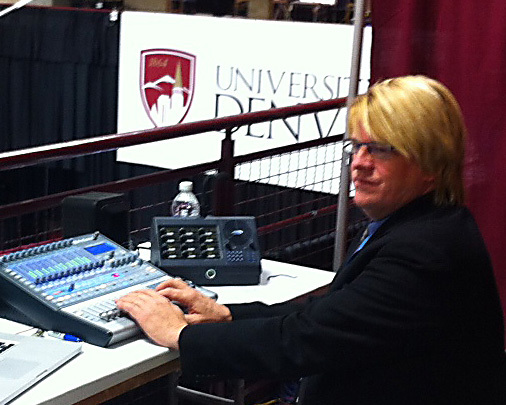 Our performances successfully merge the art of acoustic music with the mystique of audio technology. This event on April 13 promises to deliver the same mix of ambitious musical forces. Two Eight for soloist performing 8 simultaneous film scores. 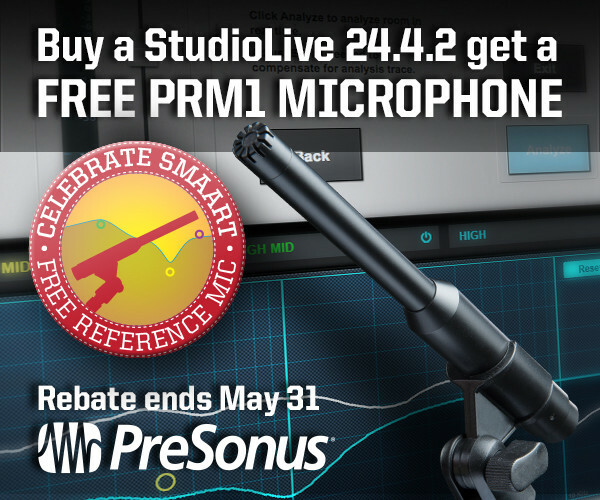 Buy a StudioLive 24.4.2, get a free PRM1 reference mic! Here’s the Free PRM1 Form. 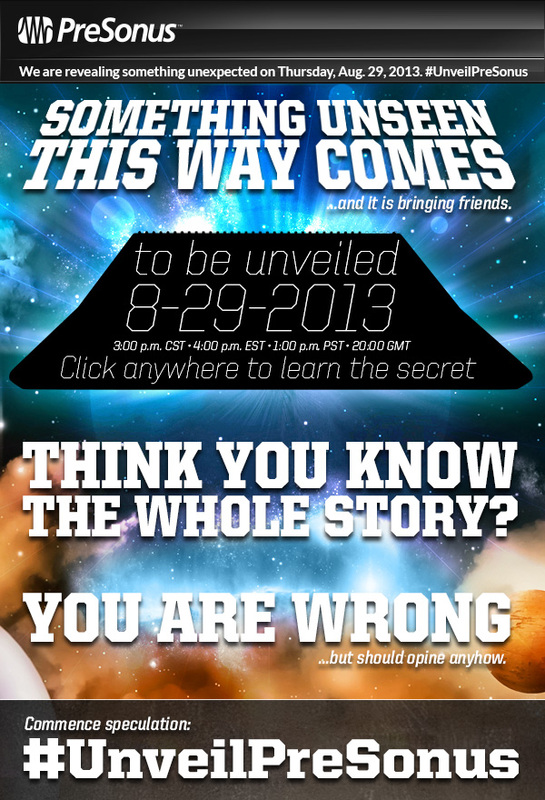 You can get more details here. Offer ends May 31. 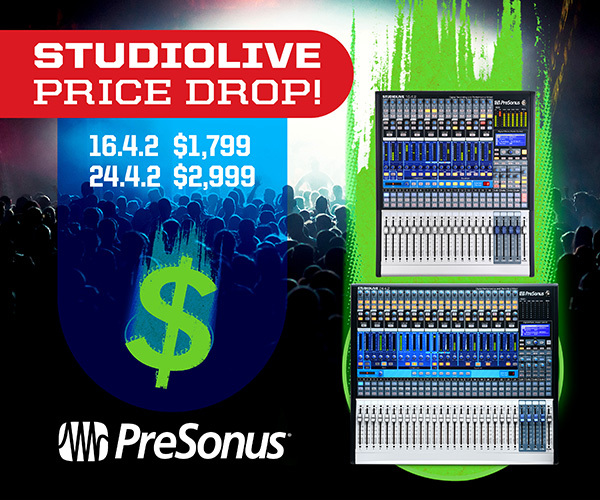 We’ve dropped the prices on two of our StudioLive mixers! Get the 16.4.2 for $1,799 and the 24.4.2 for $2,999. No rebates, no buy-two-get-one-free, just a lower price. Wow! Studio One Professional 2.5, $100 off through April! Get with the best for a low low price! 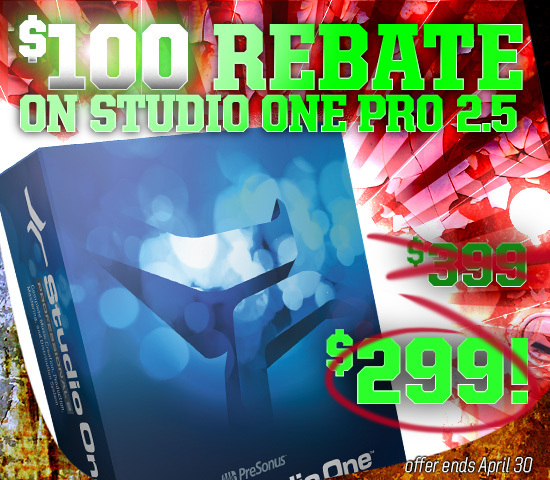 This is an instant rebate that will be available through your local PreSonus dealer or StudioOne.PreSonus.Com. Save $30 bucks on a TubePre V2. This is an instant rebate available at your local PreSonus dealer. Easy money. 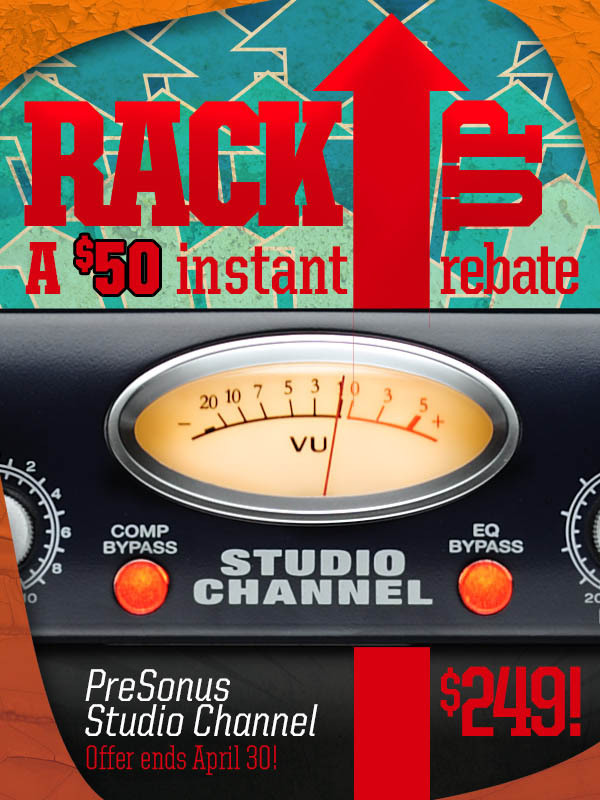 Save a whopping $50 on the PreSonus Studio Channel. 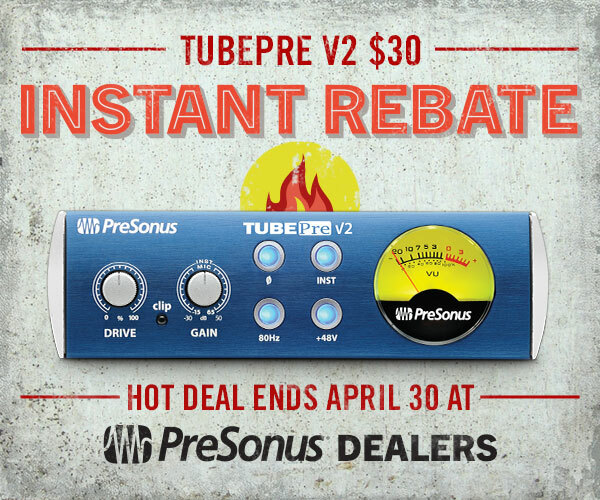 This is another easy instant rebate available at your local PreSonus dealer. 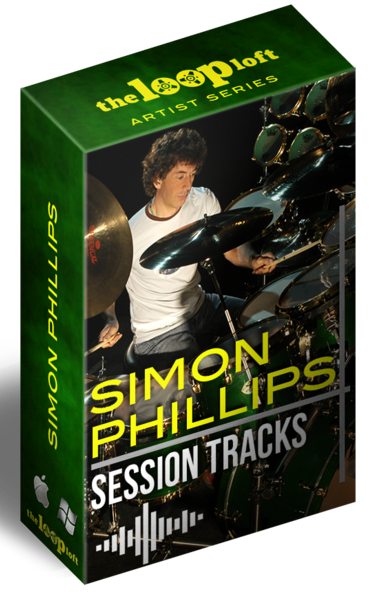 Last, but certainly not least, if you upgrade from any other version of Studio One to Studio One Professional 2.5, you are entitled to the Simon Phillips Session Tracks drum loop library for FREE! Click here for the rebate form so you can grab your copy—ASAP!